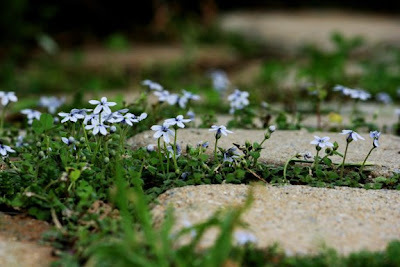 These tiny flowers are growing between some stepping stones in the front yard. You would step on them if you weren't paying attention. But when you're present and aware, you notice tiny little things like these.